A dining room can be a bit intimidating when you want to serve a simple meal. However, a breakfast nook can be the perfect addition for those times you want to have your family close for a meal or two. If you are lucky enough to already have a breakfast nook, it may be time for an upgrade. Here are a few breakfast nook upgrade ideas that will inspire you. A coastal breakfast nook is the perfect excuse to add hues of blue and pair them with bolder shades that provide a summery, vacation visual. Pair with rattan furniture for that classic beach house feel in an easy manner. There is something beautiful, charming and even elegant about having a coastal appeal as part of your breakfast nook. Update the décor with rattan furniture pieces such as rattan chairs perfectly paired with navy and white pieces that come together for an easy coastal twist. 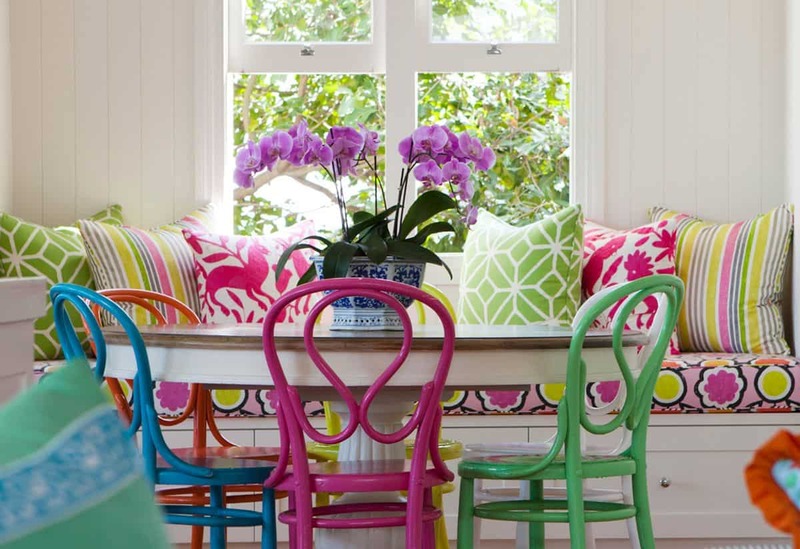 A colorful breakfast nook can be ideal to add color, texture, pattern and visual appeal to your kitchen area. Contemplate using numerous different colors that bring brightness yet work well together. The better the colors mesh together the greater the outcome will be. What better way to upgrade your breakfast nook, then to add bright daring hues. The brighter the colors the better. Pair with neutral pieces and/or wooden items that come together to allow the brighter shades to make the statement they are intended to make. 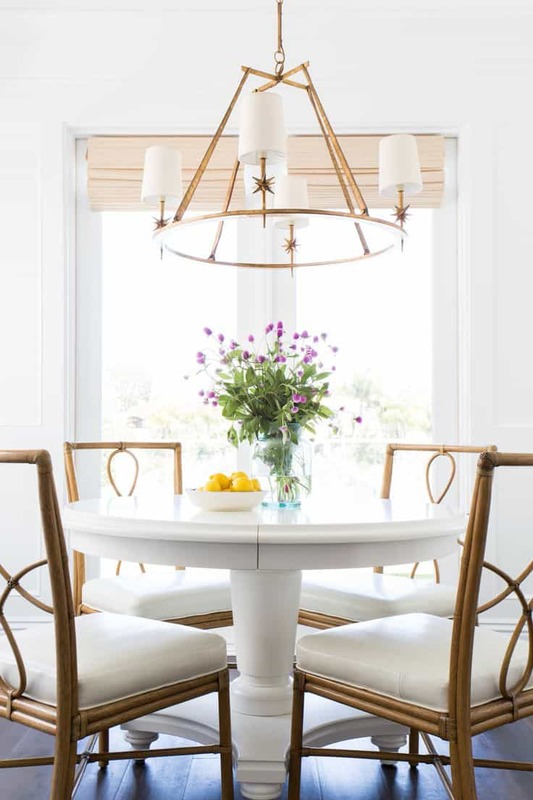 The lighting fixture you use as part of your breakfast nook can completely change the vibe your kitchen gives off. If you add an edgy light fixture your kitchen will have an edgy feel. 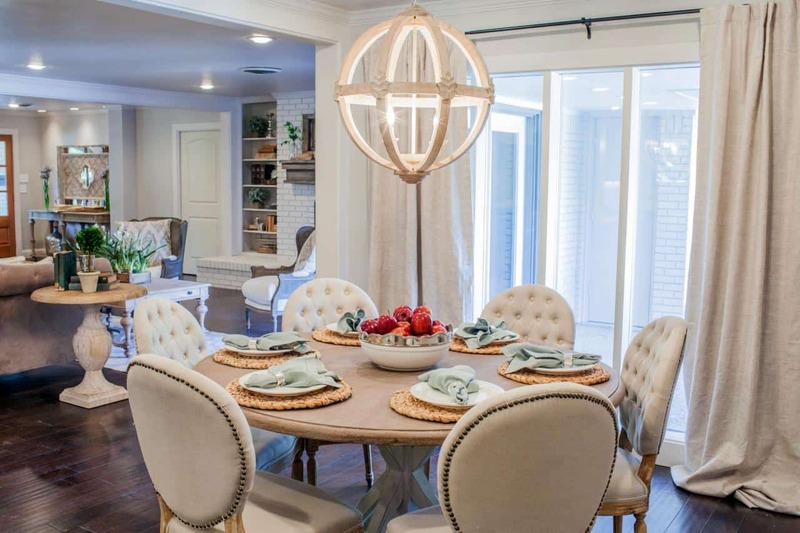 However, if you add a charming light fixture your space will immediately transform. Use a light fixture that brings your personality to the forth front. Lighting is very important, especially in a smaller eating area. It will not only make the space appear larger, but it brings a unique sense of lighting when you are working with intricate light fixtures. Consider using chandeliers or scones or even a mixture of both. Pair with metallic hues to bring a unique touch. 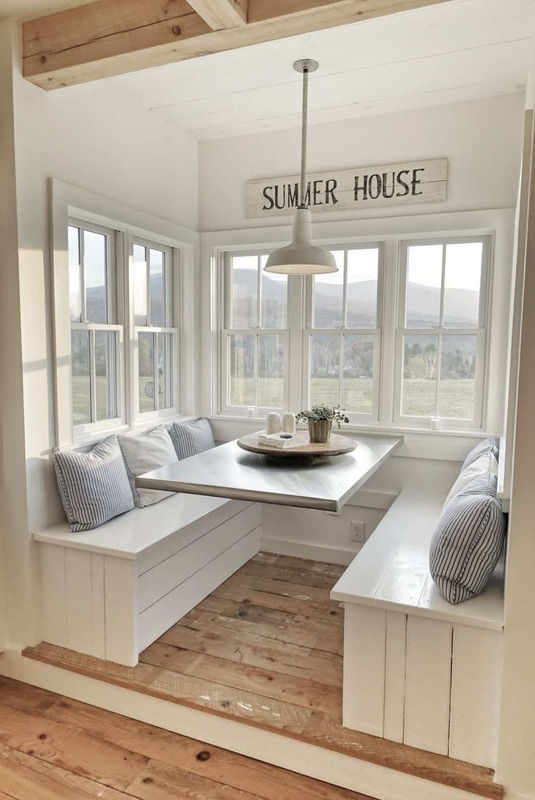 If you are not a fan or can’t have a wooden bench as part of your kitchen breakfast nook consider having a chic bench instead. The chicness of the bench brings a feminine touch that can be felt throughout the kitchen. Pair with classic seats and greenery for a country twist that is still understated. Breakfast Nooks were a traditional aspect of country-inspired homes now they have become a staple for many. Change up your décor to a country chic twist for a cozy yet fun space. The key is using built-in seating with wooden aspects to bring you that classic country visual to life. The shade of blue that you decide to use can completely change the feel of the room. The lighter the hue the more feminine and classy it will appear, meanwhile, the darker richer hues bring an edgy touch that is cool and contemporary. Pair your favorite shade with white touches to expand the feel of the area. This traditional color combination is always a good idea. The main reason being the hues work well with numerous different colors and metallics. Add a bench, colorful pillows in different shades of blue and a few monochromatic pieces to bring all the décor together. Off-white is an excellent in-between color that allows any other hues used to make the statement they are intended to make. Use soft pastels to brighten the area while still allowing the breakfast nook to appear put together and airy. Incorporate patterned pillows for an extra added sense of cohesiveness. Bright white might seem a bit too stark for any room, but when you work in off-white hues there becomes a charming effect that is simple yet beautiful. Add a few warm touches to soften the white pieces that may already exist in the room. Pops of yellow are perfect for bringing a space together. The brightness of the hue provides a beautiful intricate touch. Meanwhile, pairing it with bits and pieces of darker wood will create a seamless contrast. 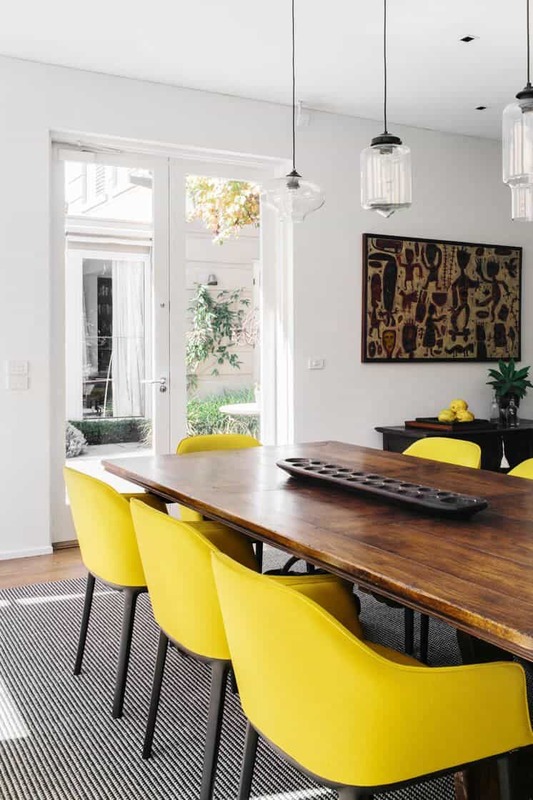 Consider having bold bright yellow chairs that come together with simple lines and features. For that cheery color contrast, a bright shade of yellow is the perfect balance between having neutrals and added daring hues. Combine your pops of yellow with bold patterns that have yellow veining integrated with hues of white, black, gray or neutral. Having a view is quite beneficial when you want to use simple decor that will brighten the space while still allowing the view to be the main staple of the breakfast nook. Focus on using decor that embraces and is similar to what the outdoors has to offer. If you are lucky enough to have a gorgeous view, you want to embrace it to the fullest by using soft hues and creating a décor that revolves around the view. Doing so will bring a balance that is natural while being luxurious and charming. Stripes are excellent expanders, one would think they would create a space to appear smaller due to their chaotic pattern. However, in all actuality, they are great to bring in color, texture and make the space feel larger. Add upholstery to your bench with a soft striped pattern for a chic aesthetic. If you have yet to meet a striped design that you didn’t like, consider adding bold stripes to your breakfast nook with upholstered chairs. 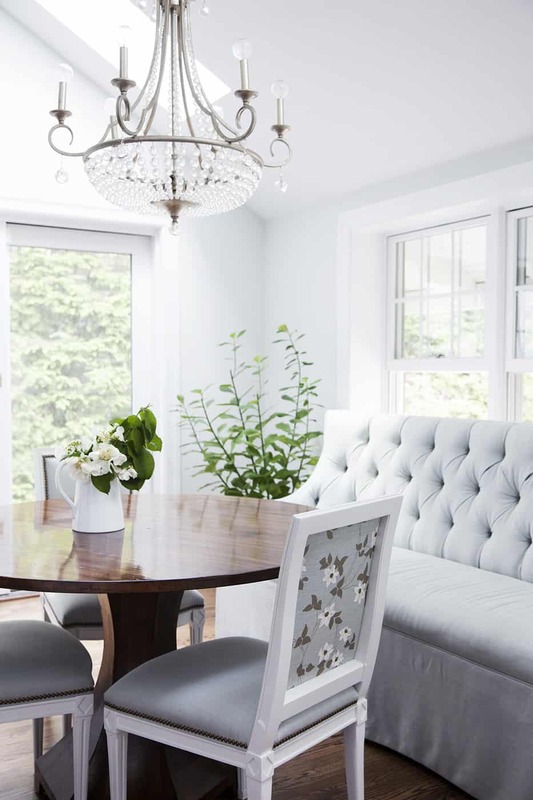 Add upholstered chairs gives you the liberty to select what colors and textures you use while still giving you the ability to change up the décor depending on the season. Having a bar breakfast nook is the perfect addition when you have a smaller space that needs to be filled with something that will make the space feel feminine and grand. Consider adding a rug for an extra boost of beauty and femininity. Having a smaller space does not mean you can’t have the perfect breakfast nook, it means you have to get creative which is where a bar nook will come in handy. A cute small bar, nook is perfect for those quick meals and/or want a space saver that is also versatile. Add two chairs with a simple table for that bar nook feel. 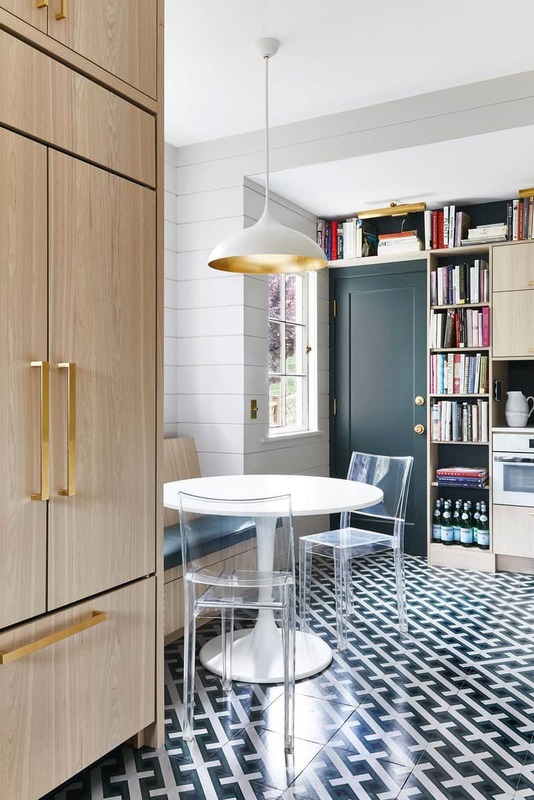 A patterned floor can be perfect for a simple breakfast nook that needs little to no additive but could make use of a bit of color. Consider using a bold hue or a heavy pattern for the perfect outcome. You may even want to use clear chairs to allow the flooring to make the perfect statement. Already have a breakfast nook but need an upgrade? If so the key is working in patterned floors. This trick will upgrade the space with little to work while still providing color and texture. Consider adding bold flooring and having it become the main staple of the area. Breakfast nooks are ready for their closeup moment. Which of these is your personal favorite? Please let us know in the comments below.